FRANKFURT -- Daimler has struck an agreement with workers at Mercedes-Benz's biggest transmission factory in Germany, under which work on electric vehicles will be based at the plant near the carmaker's home town of Stuttgart. The Untertuerkheim transmission site, which employs 19,000 people, would be particularly hard hit by the shift to electric cars. 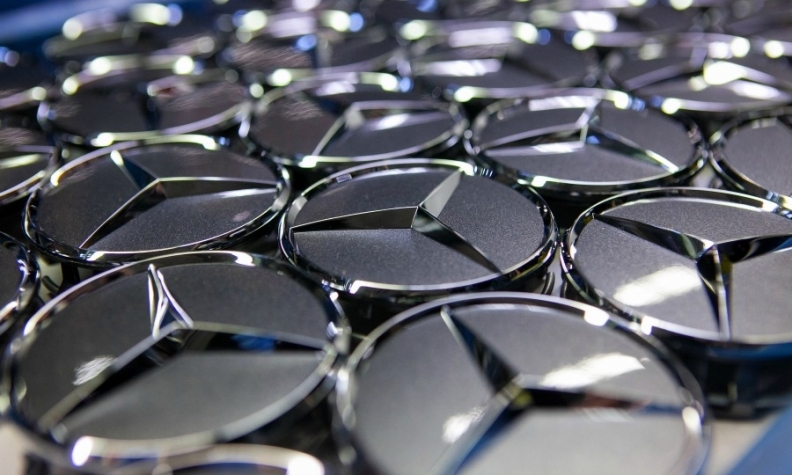 Under the agreement announced on Tuesday, Mercedes will set up an e-technology center in Untertuerkheim, where prototypes for electric powertrains will be built, and the plant will start producing components for electric vehicles, Daimler said in a statement. Daimler said its agreement with workers also paved the way for a further capacity expansion of combustion engines in Untertuerkheim. German carmakers are investing heavily in EVs but their engines require fewer workers to build than more complex combustion motors, and labor bosses have been pushing for Daimler to produce more EV parts itself to safeguard jobs.